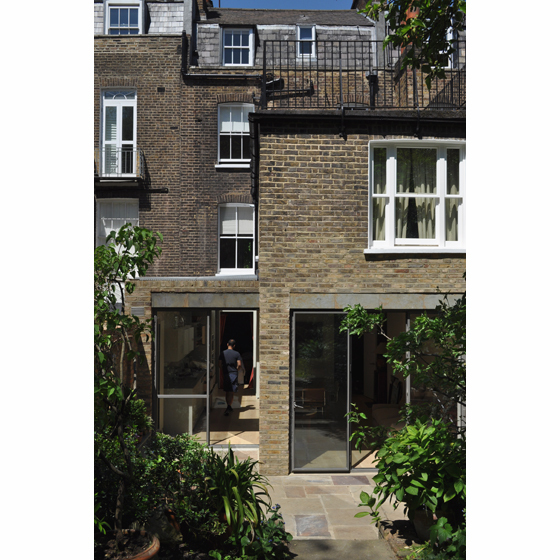 A modest project to remodel and extend a mid-terrace property in west London. 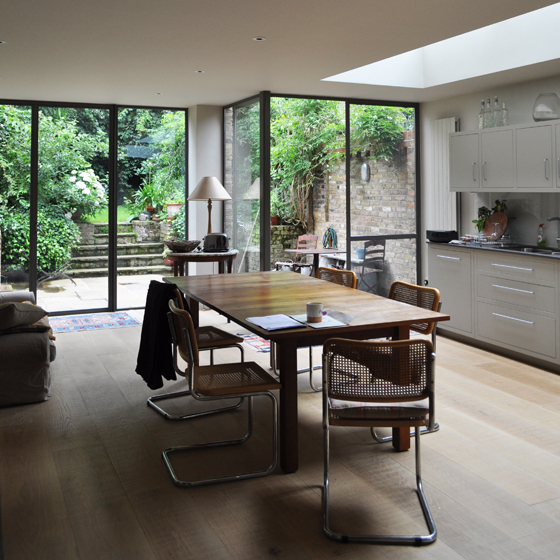 The client wanted a more generous lower ground floor living space and connection to the mature rear garden. 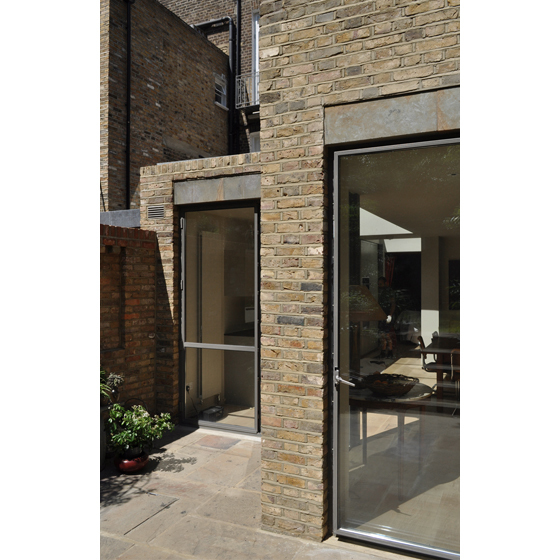 Alongside reclaimed stock brickwork, Hornton Limestone lintels are introduced over new openings to bring order and proportion to the elevation. 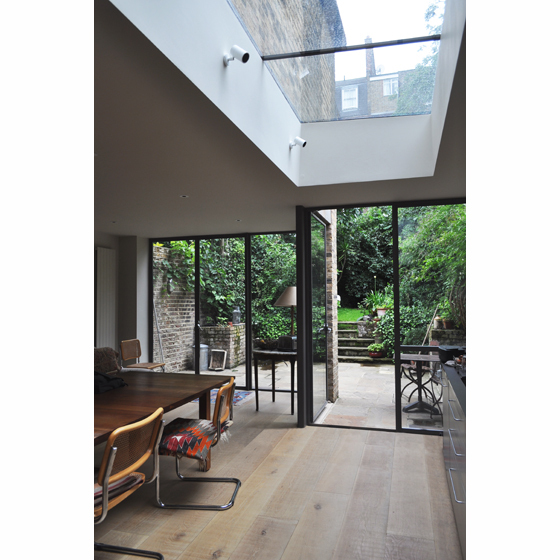 A fine-framed steel glazing system beneath wraps around the corners of the extension with a glazed internal corner bringing the garden right into the kitchen.